The name is scary, and the animal is bizarre. If you were to see one in the wild, it would look a lot like a decaying leaf. 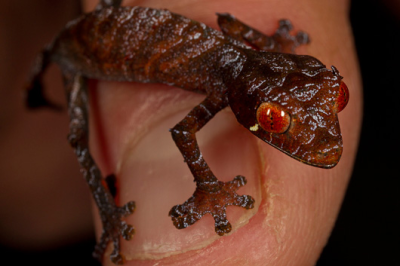 Because of this, this gecko will hardly be eaten by predators. They are predominantly found in Madagascar, and they survive in the forest along with thousands of other animals. Although they may look very intimidating, they are harmless to humans. Unfortunately, leaf-tailed geckos are endangered and have been reduced to about 10% of the total amount that used to exist in the forest. Regardless, they are a unique species that should be appreciated for their originality. Nature can produce some incredibly complex creatures. These creatures can defy the human imagination and are often unique to the species of animals that we know of today. While not all of these may be big and scary, we are going to talk about the top 10 fantastically strange animals in the world. 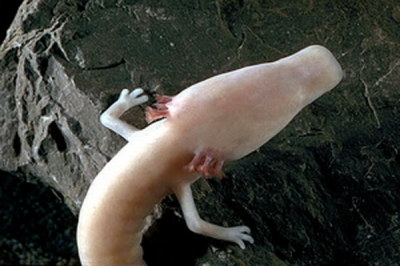 The Olm is an amphibian that typically inhabits deep caves in Europe and is commonly referred to as the “baby dragon”. It is a bizarre animal that is blind and lives in a sensory deprived universe. It gets around by using chemicals and electrical signals in its brain that is tricked by receptors in the body. This comes in handy, particularly when they are feeding. There is another cousin of the Olm called the “Black Olm” and it too has a bizarre complexion. 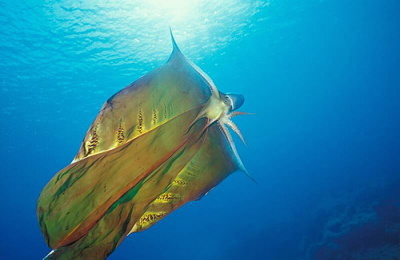 Most of us have heard of the octopus, but how many of us have heard of the “Blanket Octopus”? This sea-based creature is awkward to say the least and contains three hearts, a parrot-like beak, and venomous saliva. It also can change color on a whim so that it can adapt to its surroundings. A lot of people refer to their tentacles as “intelligent arms” as they don’t necessarily need the brain to perform specific actions like catching prey. All in all, this is a very strange animal that is rarely seen and resides in the depths of the ocean. The reason that this tiny Tropical American frog made its way into this list is because it has translucent skin, something you don’t see every day. 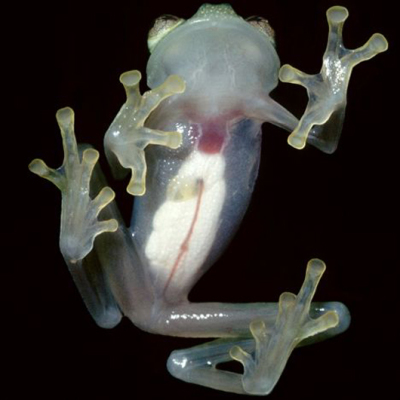 Essentially, you would be able to stare at this frog and have a real life anatomy lesson unfolding beneath your eyes. If you were to check out a glass frog, you would see their intestines, heart, and liver perfectly. Even though they have this type of skin, they are closely related to other known tree frogs and behave in a similar nature. 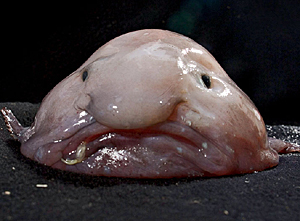 As humorous as the name may sound, the blobfish is an underwater dweller that has a face that only a mother could love. They are typically found in the waters that surround Tasmania and Australia, and they lead a rather passive life. They lack a lot of the muscular power that other fishes have so they don’t like to spend a lot of energy swimming around. You could consider them the “sloth of the sea”. Unfortunately, these sea inhabitants are rarely seen alive and are occasionally caught by fisherman’s net. But judging from the picture, we highly doubt that they are edible. 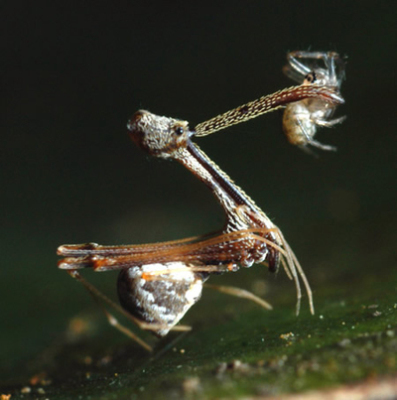 Not only does it have a cool name, but the assassin spider is a cool species (and weird) that has a very creepy appearance. The good news is that they are completely harmless to humans. The reason that they have such a long neck is because they need it to support their immense jaws, which are armed with venomous fangs mind you. But don’t worry because they like to eat smaller spiders and insects.